The hubby turned 28 on Monday, December the 1st. Yeap, he's a month and a half younger than me! I thought about how to celebrate his birthday for several days, and I finally made up my mind: we would be spending the night out at a hotel! We couldn't go too far away because J had to work the following day. 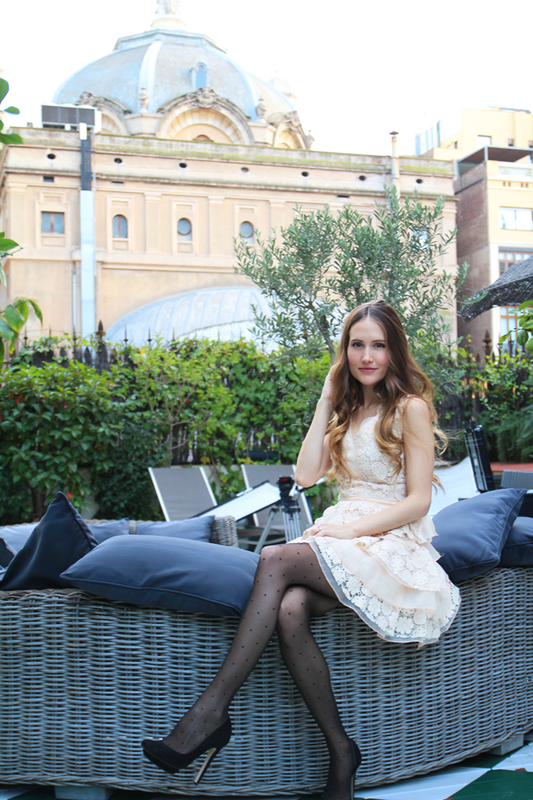 I considered different options but finally decided on staying at the Praktik Rambla Hotel. You may remember I visited Praktik Bakery at the end of my pregnancy for afternoon tea at Baluard Bakery, and loved the whole feel of the place. All Praktik hotels have been designed by Lázaro Rosa-Violán, my favorite interior designer! Seriously, it's in my to-do list to visit all the spaces he has designed: shops, hotels and restaurants, they're all beyond amazing with that modern style of his. You may remember how gorgeous Boca Grande restaurant is, one of his stunning creations I reviewed last year. Yeah, superior rooms are called WOW, and it's no wonder. 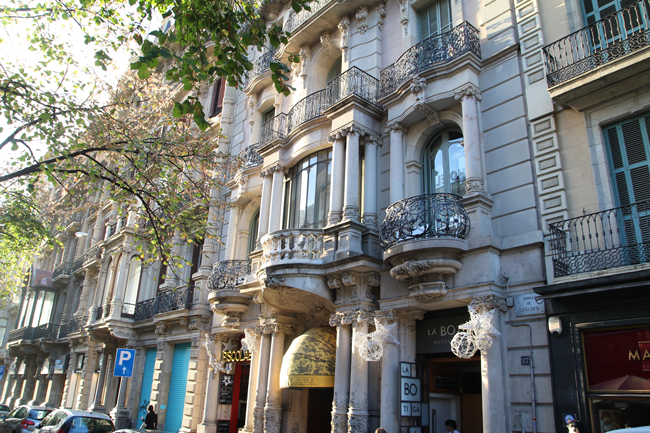 Unlike the regular double rooms, these ones have a gorgeous balcony overlooking Rambla Catalunya. I think it's totally worth the extra money! You can get a Praktik WOW for around 100 euros, amazing, right?? Liam was there with us as well, of course! I'm breastfeeding him and I have never pumped milk yet, so he's always with me. The three of us went out for dinner at Ciutat Comtal, my favorite tapas restaurant in the city, which is at 2 minutes walking distance from the hotel! There's also Cerveseria Catalana, which is the same restaurant but in another location, very close to the hotel as well. Both are equally yummy and always fully packed! There's no reservation available so be ready to queue for more than an hour at rush hour. J told me he had a really good time, and that's all that matters! Of course, I had an amazing time myself :p If for whatever reason there is no time to go traveling abroad, staycations are a great idea! Love your blog! I stumbled upon it when looking for good high teas in HK. Thank you for the reviews. You have such beautiful pictures! Curious, are you still going to be writing a book on high tea? Also, just a thought, you might consider grouping your high tea posts into a category for easy reviewing access. Thanks again!